Presenters are often faced with the same problem: how to fit a lot of information onto one slide when space is limited. The result is often too much clutter, stifling the content. 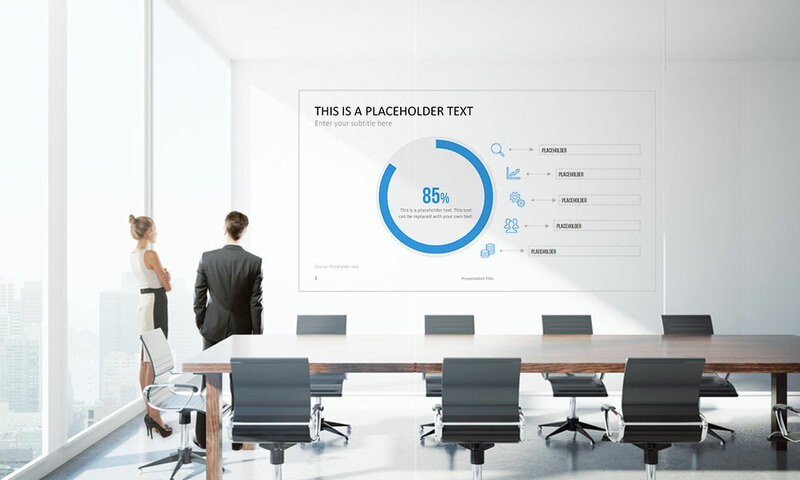 In the following article we will show you how you can make more out of your presentations with the appropriate use of white space. The minimalist trend is becoming more and more evident not only in user interfaces in software development, but also in presentations. 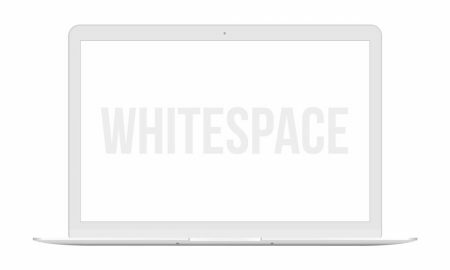 White space plays a major role in design and shouldn’t be overlooked. Juxtaposing important content with white space makes it easier for the viewer to perceive essential information. Is everything on the slide really necessary? This mainly applies to the text. Keep sentences short, or use keywords and terms. When it comes to visual design, avoid unnecessary effects, such as shadows, and limit the number of images to a few, simple graphics. Can what is said be reduced to either text or graphics? It would be ideal for your content to be conveyed in a few words or with a single graphic. Avoid using graphics that need captions. Instead, use only text or divide everything into several graphics. How many ideas are on each slide? A slide should be limited to a single idea or thought. The slide should visually support the presenter’s message, not overpower it. Too much content on a slide makes it harder for the audience to follow along, and could result in the presenter skipping key ideas while struggling to keep the audience’s focus. Is every piece of information essential? You should be the one guiding your presentation, not the other way around. Always keep in mind the overall purpose of what you are trying to convey. If a slide enhances your message and doesn’t distract, keep it. Otherwise, take it out.